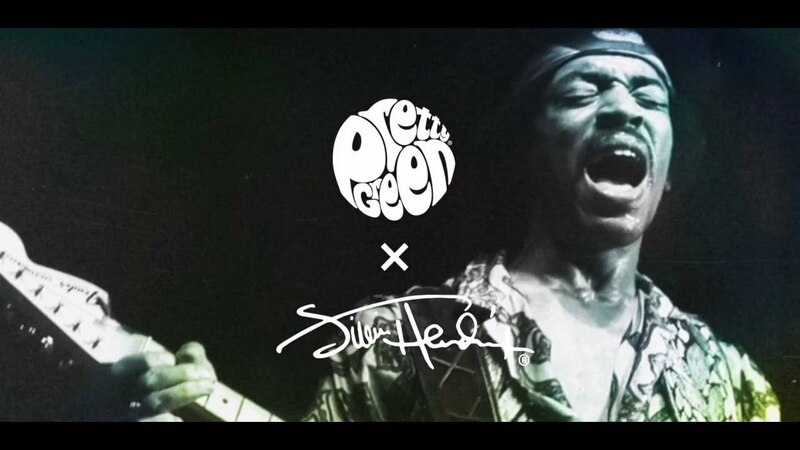 The Pretty Green x Jimi Hendrix collection is a modern interpretation of Jimi’s style, drawing inspiration from archive images of Hendrix himself and the garments he wore. Unique prints run throughout the collection which have been hand drawn and hand painted in house and created into garments using a variety of printing techniques. 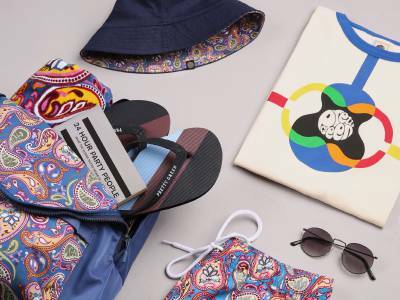 The floral print is a hand painted watercolour design inspired by Hendrix’s shirt in an archive image and is seen across shirts, polos and jersey within the range. Our signature paisley has been recoloured with a 60’s colour pallette, with the main strong colour theme as purple in reference to ‘Purple Haze.’ We have worked the words ‘are you experienced’ into the design as a reference to the legendary debut studio album. Graphic T-shirts have been created using archive imagery of iconic album covers and Hendrix gigs such as the ‘Woodstock Tee’ created from an image of Hendrix at the legendary Woodstock festival in 1969. The ‘Purple Haze Tee’ is a screen printed design of an interpretation of hand written lyrics for Purple Haze. This is an original draft of the lyrics having originally wrote the chorus for the song as ‘Purple Haze, Jesus saves’ Hendrix claimed that these lyrics were inspired by a dream where he was walking under the sea when a purple haze surrounded him. 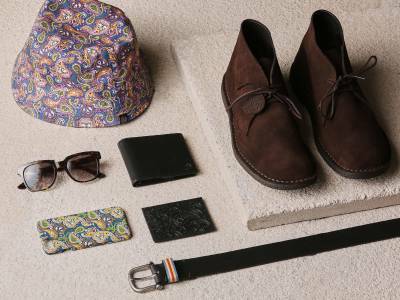 A Hendrix collection could not have been created without a nod to his military style. He purchased an antique Hussar’s uniform dating back to the 1850’s and would often wore bare chested. This is referenced in the range through the gold embellished grandad and digitally printed military shirt. 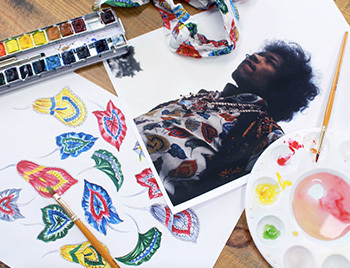 Pretty Green X Jimi Hendrix branding gets inspiration for its colour pallette from the ‘Axis: Bold Is Love’ album cover and features Jimi’s signature and an authentic Hendrix trademark.